All modern hearing aids are in essence micro computers, like all computers they contain sensitive microelectronics. Those computers are connected to a microphone (which picks up sound) and a receiver (the speaker part). These miniature electronic components don’t react very well to exposure to moisture or wax. Over a period of time or with a thorough exposure they may well malfunction. In particular the microphone and receiver are sensitive to wax and moisture. During a hearing aids warranty period, any failures are remedied by the manufacturer. However, most of those failures are actually caused by Patient handling issues. When the warranty is up, it is up to you to pay for the repair so there is a financial incentive to maintain your hearing aids. Beyond that, most hearing aid users hate to be without their hearing aids, life almost stops. A little time invested in taking care of your hearing aids really pays off. It is better to take care of your hearing aids and avoid those issues. Moisture in the form of sweat or water vapour (condensation) caused by hot or cold temperatures affects your hearing aids and may lead to corrosion and subsequently to malfunction of these sensitive electronics. The ingression of wax to either part may lead to a blockage if not complete failure. Moisture and wax are killers of hearing aid components. In order to protect your investment you should protect your hearing aids from them as best you can. To ensure that your hearing aids keep working and to protect the life span of your hearing aids in the long-term, it is important for you to incorporate a drying procedure into your clean and care routine. Your hearing aids should be dried at least once a week. This should be a central part of your hearing aid care routine. During certain times of the year or in certain climates, your hearing aids may be exposed to severe moisture. if this is the case, it is best to dry your hearing aids once a day. You can choose from various equipment for drying your hearing aids. They range from simple drying kits made up of a plastic tub and a tablet to electronic drying chambers. Your hearing-care professional should be happy to assist you in choosing the right one for you. The fine mist created when spraying hair spray, perfume or using make-up powder may block microphone openings, the volume control or program control. Remember to remove your hearing aids before using your products. Always make sure that your fingers are clean and dry before touching your hearing aid. The microphone openings are very small and be easily blocked if the hearing aids are handled with dirty or oily fingers. Try to avoid dropping your hearing aids on hard surfaces, even if only from a few inches. 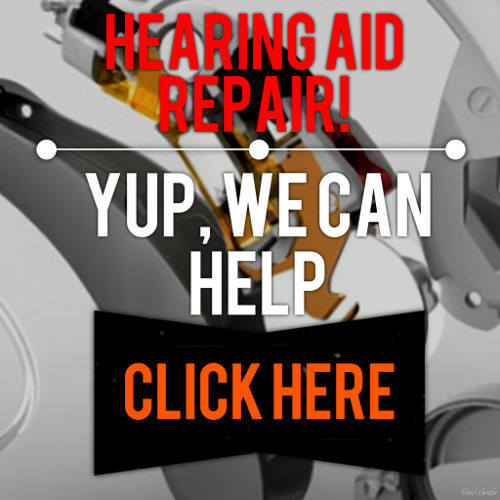 It can easily happen while you are cleaning your hearing aids or changing the batteries. When you are inserting or removing your hearing aids, try to make sure to do so over a soft surface, in case the they slip out of your hand. Try not to expose your hearing aids to intense heat, drying them in the microwave is a no no. Protect the devices from direct sunlight (at home or in the parked car) and do not keep them in close proximity to heaters. The plastic cases are robust, but like all plastics they will melt if exposed to enough heat. Some of the most modern hearing aids are now graded waterproof, however if you are unsure, don't take a chance. Remove your hearing aids from your ear before showering, bathing or swimming. That may sound like obvious advice but it is easy to forget you are wearing them sometimes. Due to the generally high level of moisture in most bathrooms, the hearing aids should not be left there. Clean your hearing aids with a special moist cleansing wipe, there are many available that are designed especially for cleaning hearing devices. Alcohol, solvents and cleaning agents could damage the devices. In order for your hearing aids to continue to function properly, the devices themselves and the earmolds for behind-the-ear systems must always be free of earwax or other deposits. If you are not using your hearing aids for a period of time, remove the batteries and leave the battery compartment open. In high levels of moisture, store the hearing aids in a dry case. If for any reason you take your hearing aids out during the day always put the devices in the storage case provided. We have heard too many storys of lost hearing aids because they were put in a pocket. Store your hearing aids out of the reach of children and pets. Devices that are laying around and have not been turned off send out high-pitched sounds which can irritate the sensitive hearing of dogs. You would be astonished to know how many hearing aids we have seen eaten outright or chewed to very small pieces by household pets. After following the simple trouble shooting guide that is in your manual, don't attempt anything else. If there is a problem that can't be solved with the trouble shooting tips it is time to visit your hearing-care professional. Remember these tips and you should keep your hearing aids safely working for many years. Hearing aids do occasionally break down, but it is mostly because of cleaning and care issues. Failures because of manufacturer issues are few and far between, the overall quality and reliability of hearing aids has improved exponentially.